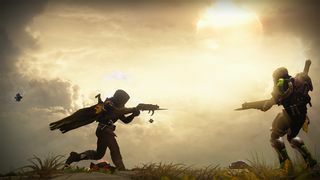 In an effort to restore faith in the sanctity of Destiny’s competitive multiplayer combat, developer Bungie today affirmed its commitment to keeping the experience free of cheaters, and asked the community for its continued assistance in doing so. "Recently, there has been some concern about cheating in the Crucible, most specifically DDoSing in Trials of Osiris," said Chris "Cozmo" Shannon, a community manager at Bungie, in a blog post today. "This is a subject we take very seriously." Shannon passed along further details from Bungie’s security response team. "We have several team members whose full-time jobs are to ensure the security of your Destiny experience," he said. 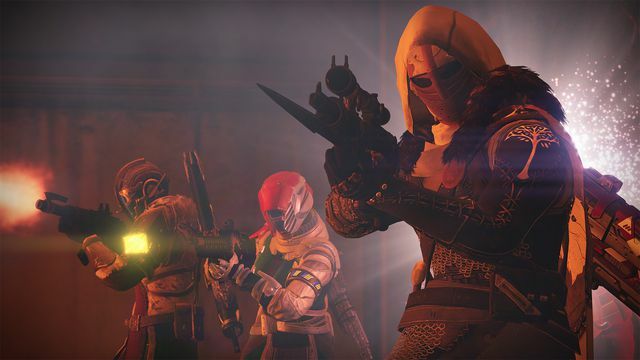 The team implored players to report cheaters if they run into them, with Shannon noting that Destiny’s in-game reporting system is "the best way to send us data on malicious activity. "All in-game reports of cheating are monitored, and our security team closely examines all of the top reported offenders," Shannon said. Bungie does also maintain a web-based reporting system that requires users to submit a link to a report from the match in which they believe someone was cheating. Bungie’s comments come in response to a rising tide of frustration with Destiny’s player-versus-player Crucible, and in particular, its high-stakes Trials of Osiris mode. Earlier this week, numerous players complained in a long thread on the Destiny subreddit about cheaters ruining Trials of Osiris. The individuals reported that the offenders used tactics such as sending a flood of PlayStation Network messages — the PlayStation 4’s notification pop-up happens to obscure Destiny’s in-game radar — and even booting opponents offline by overloading their internet connection with distributed denial-of-service (DDoS) attacks. The issue with the reporting tools is that some Destiny players believe the cheating has gotten worse in the game’s third year of existence, and they don’t feel like Bungie is taking enough action to address the situation. When people lose faith in not just the game, but in the system as well, things have gotten pretty bad. Of course, it’s hard to know how big of a problem this actually is — whether the affected players amount to isolated incidents, or whether cheating is truly rampant in Trials of Osiris. There’s no indication of how many Crucible players Bungie is banning, although the studio did say "the Banhammer is being swung often." But at the very least, the people reporting on forums that they believe they’ve played against cheaters do not appear to be few and far between. There is some solace for those who feel like giving up on Trials of Osiris: Bungie also said today that while in-game reports are "an important part of the banning process," the security team also employs "many additional automated systems" to detect cheating. And the system is working, according to Bungie: Shannon said that "some of the offenders reported this past weekend in trending threads have played their last Trials card."